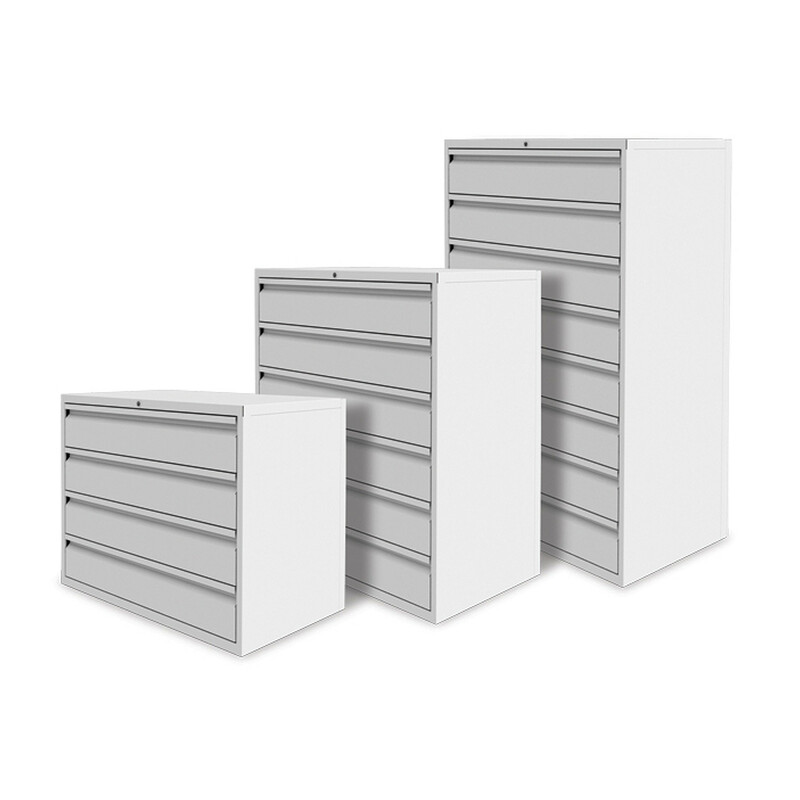 Freedom Media Drawer Cabinets are available in three different heights, from four up to eight drawers. Designed by Silverline having in mind the busy and contemporary office, Freedom Media Drawer Cabinets are able to hold heavy contents and still maintain a perfect balance even with a 100% drawer extension. Freedom Media Drawer Cabinets are a lockable storage solution which will easily fit in any office interior as it features elegant swan neck style handles and different finishes are available to better suit your requirements. 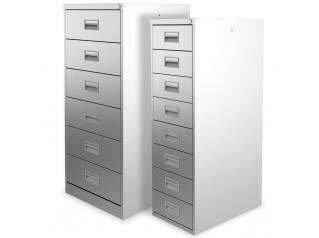 To meet your office requirements there are available a wide range of options: same lock number; counter balance for the four drawer unit; divider plates, slotted drawers; height adjusting cup for use with levelling feet to further increase height; internal, individually locking compartments, can hold a maximum of two per drawer; sloping tops; glass tops. Other products alongside the Freedom Collection: Freedom Combi:Store, Freedom G3 Desk Storage, Freedom H:D Pillar Box Lockers, Freedom Hot Desk Locker, Freedom Office Cupboards, Freedom Side Files, Freedom Side Tambour, Freedom Skyline Towers. You are requesting a price for the "FRD Media Drawers"
To create a new project and add "FRD Media Drawers" to it please click the button below. 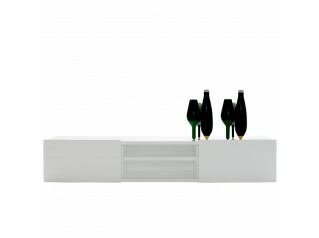 To add "FRD Media Drawers" to an existing project please select below.